Cape Town - Stormers coach Allister Coetzee says they have enough depth in their loose forward department to account for the absence of Duane Vermeulen. Vermeulen will sit out the Stormers' first match of their four match tour of Australasia after playing five matches in a row, which is in accordance to SARU's request that Springbok players' condition be managed throughout the season in the lead-up to the Rugby World Cup in England later this year. However, Coetzee said that the plan was not only to manage the Springboks in his squad, but the squad as a whole, to avoid the injury problems which plagued the Stormers during their last Super Rugby campaign. He reiterated that it will not always be as easy to rest players, especially Springboks, going forward as the season wears on. "Where the challenge will come with the resting is when you are in a tight spot and whether you are going to continue with the plan," he told the rugby365.com website. 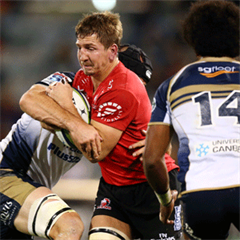 Coetzee named his 27-man touring squad on Tuesday and despite the loss of Rynhardt Elstadt to a long-term ankle injury, he feels he is adequately covered, with the return of Schalk Burger serving as a welcome boost in recent weeks. "We have got the next Springbok eighthman in our squad as well in Nizaam (Carr) so it is really pleasing to have loosies like Michael Rhodes coming back," added Coetzee. Another boon for the men from the Cape is that they will not be lacking leadership with Vermeulen on the sidelines, with Juan de Jongh, who led Western Province to their second Currie Cup in four years in 2014, set to take the reigns from the Springbok No. 8. 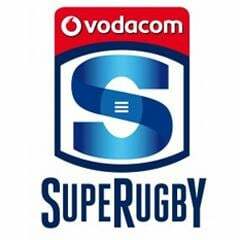 The Stormers have a bye this weekend before departing for New Zealand on Saturday afternoon.